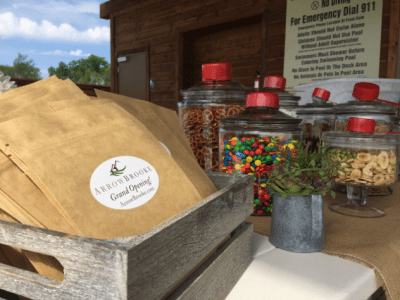 June 6th, 2016 was a big day for the master-planned community of ArrowBrooke as we have officially had our Grand Opening! It was a day filled with fun, laughter, good eats and exploration. 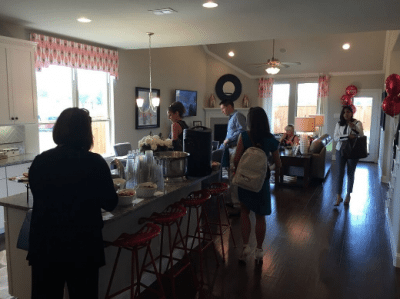 The Grand Opening was open to realtors interested in new DFW homes for sale! It’s a day we won’t soon forget. After getting settled in with valet parking, the day was centered around visiting our three amazing DFW homebuilders’ model homes. 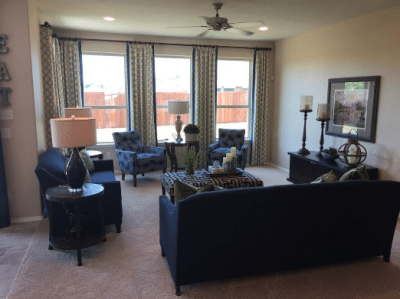 The beautiful Beazer Homes model home. 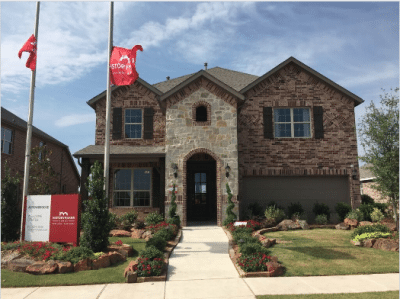 The impressive HistoryMaker model home. Plenty of living space and tall windows make for the perfect combo! HistoryMaker Homes is family owned and operated since 1949. The promise is simple: deliver more space, more choice, and more value to families like yours across Dallas-Fort Worth. 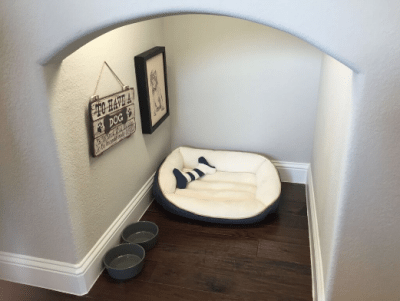 You won’t find any wasted space in a HistoryMaker Home. The stunning exterior along with the open space concept inside make for the perfect first, second, or final home for your family. 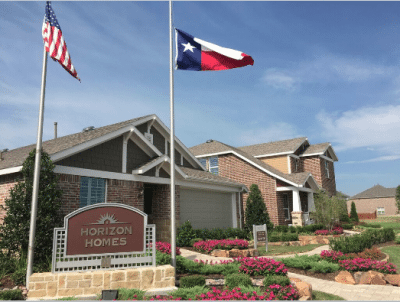 Horizon Homes model home, USA and Texas flags flying proudly. 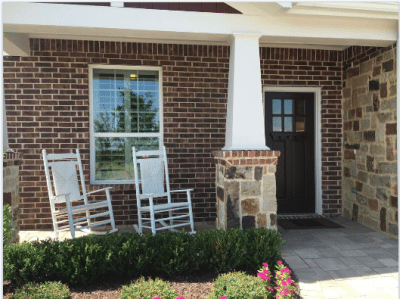 Front porch of the Horizon Homes model home. Horizon Homes understands that buying a home will likely be the biggest purchase of one’s life. As a member of the Highland Homes family of builders, Horizon wants to deliver the same award-winning customer service and high-quality home for every single family. With front porches and two story foyers, experience privacy and luxury in a Horizon Home. 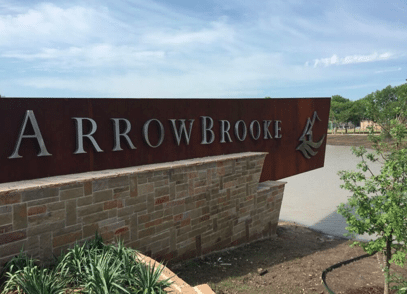 What makes ArrowBrooke such a great master-planned community isn’t just the great selection of DFW homebuilders, but also the amenities. The Gathering Place resort-style pool. 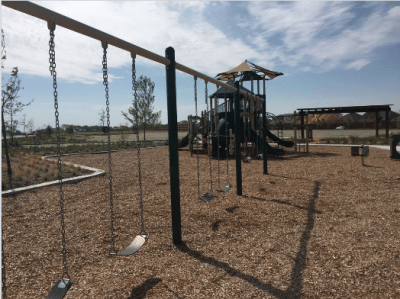 The kids can swing away at the Gathering Place! The view from the top of the playground slide. 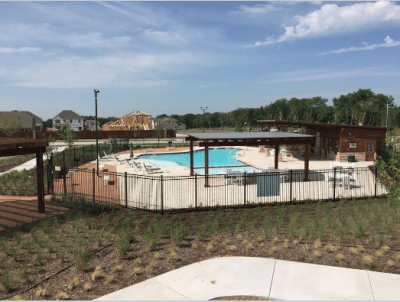 The Gathering Place will be the place to be for families looking to catch some rays around the pool. Conveniently located, parents can start up the grill, lay out, and watch their kids on the playground at the same time! Summer days have met their match. 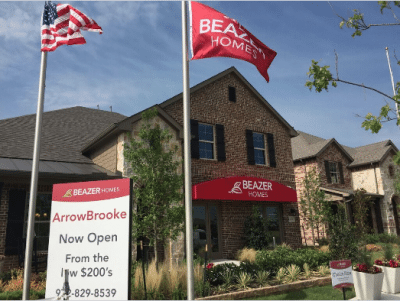 The master-planned community of ArrowBrooke is now ready for potential families to come view the model homes! 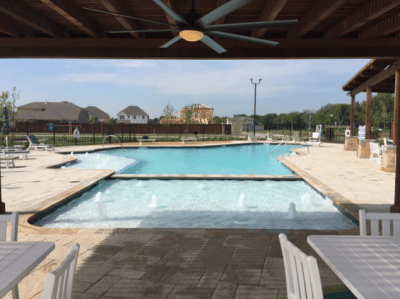 With great DFW homebuilders, amazing amenities and more, your dream home and neighborhood awaits you.